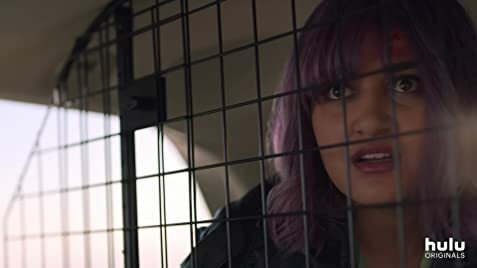 How many episodes of Runaways have you seen? 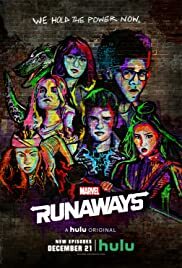 Q: How can I audition for the Disney Marvel Studios movie Runaways? This show is one of the best installments of Marvel yet. Agents of Shield is still the best Marvel has done, including the movies, and this is actually not far away from that high level of greatness. 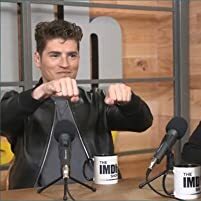 Granted I have only seen the first 3 episodes, but a very compelling and original storyline together with very good actors make this show a must see in today's landscape. There is so much crap on TV and it is good to see something this fun and engaging. Although I believe that this show will mostly speak to teenagers, and most likely resonate very well in that demographic, this is for everyone. The parents are super creepy. Normal, but rich, well behaved parents engaging in ritual sacrifice and although a couple of them have reservations, they do murder folk and then they go home and put on dinner... Almost a scary story kind of a vibe. The only negatives I can think of so far is that few things are explained, but that is so far. I must assume we will get a bit more exposition as things move along. Perhaps I can also mention the "finding the secret passageway" sequence since that felt a bit off writing- and dialogue-wise. A little too convenient. And finally yes there is a dinosaur and yes there are "powers", but very little of it so far. Some people want action and fast paced superpower-y things, I do to, but first we need to get to know them and flush out all the characters and this show does it perfectly so far, but a few (Americans especially) might find it slow going. This is great TV and highly recommended. A strong 8 so far, almost a 9. A small edit: Just saw episode 4, and the creepiness factor just increased, so did dinosaurs, kidnappings, alien glows, multiple murders and tons of other things. I saw someone writing this is for kids, and I said above this is mostly aimed at teenagers, but I can definitely say that this is not for children. This is decently scary and the show feels more and more like an episode of the Twilight Zone then a Marvel show. Great stuff and I will increase that almost 9 to an actual (weak) 9. Been a long time since I looked forward to a next episode so much as I do from this show. 75 of 153 people found this review helpful. Was this review helpful to you?